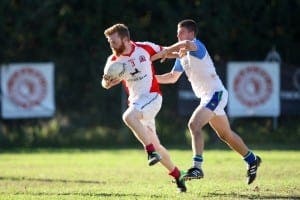 GIBRALTAR Gaels have gone top of the Andalucian Gaelic football league with back-to-back victories against Costa Gaels and Eire Og Seville. Earlier in the day, hosts Costa Gaels got their first victory of the season with a comprehensive ten point win against the Sevillian outfit at Marbella Rugby Club. 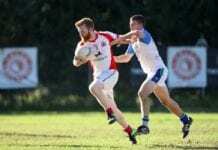 It was Eire Og Seville’s first defeat of the season, which was quickly followed by their second after a dominant showing from the Gibraltar side. 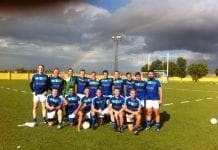 The Gibraltar Gaels were also too strong for the men from the Costa del Sol. Despite a late debut goal from Olive Press reporter Rob Horgan, the red and whites ran out comfortable victors. The day also featured Andalucia’s first ever women’s game, with Sevilla claiming victory over the Costa Gaels by a single goal.